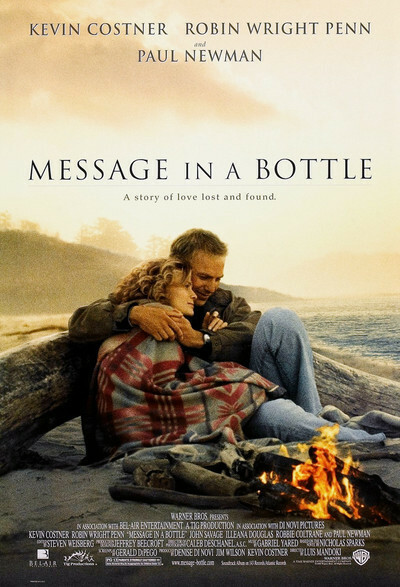 Brief Synopsis – A divorcee on vacation at the seaside comes across a bottle with a love letter inside and becomes determined to find the man who wrote the letters. My Take on it – This is a film that I’ve heard numerous things about over the years, yet never really got a chance to see until now. The premise itself is quite interesting but the story veers too far into sappiness which works against itself. Kevin Costner and Robin Wright Penn have great chemistry together which helps make the story more believable and they were good choices to make their roles feel even more effective. Paul Newman tho is able to steal every scene that he is in which once again proves how commanding his presence has always been. The story and plot tho feel a bit too formulaic which makes so much of this story feel too predictable. They still manage to find a way to show some really nice romantic scenes that help make this film a bit more enjoyable. This was the first Nicholas Sparks novel to be made into a movie. Bottom Line – Interesting premise that gets a bit too sappy for its own good. Costner and Wright have nice chemistry here and they both are effective in their roles. Newman steals every scene he is in and proves once again how commanding an actor he can be. The story is somewhat formulaic but still manages to deliver some nice romantic scenes.